Fr Tony Percy at the podium. Photo: Alphonsus Fok/Catholic Weekly. 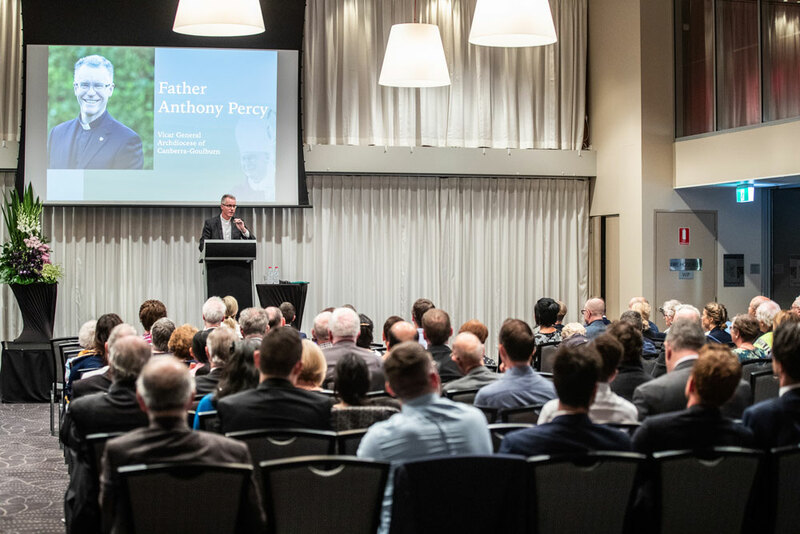 The following reflection on the Bishop Manning lecture delivered by Vicar General, Fr Tony Percy is being reproduced with the kind permission of the Catholic Weekly. The clergy sexual abuse crisis has been a “hell of a mess” and the answer lies in moving forward with faith, transparency and creativity, according to Father Tony Percy. In the first three questions that Father Percy was tasked with answering is the pronoun WE: in the fourth question WE becomes US. These two pronouns WE and US for whom do they stand? Sometimes Father seems to be referring to the teachers in the Catholic church over the centuries, then sometimes the administrators in the church, then again privileged dispensers of the Church’s sacraments. Fair enough. I see these as understandable developments over centuries in a religious organisation which has spread to the four corners of the globe. Some individual Catholics were gifted to follow Christ in his priestly role, his prophetic role and his kingly role. But if Vatican II revealed anything, it revealed the Mystical Body through the Baptism of all its members is now made up of thousands of Catholics, both men and women, who are more gifted as administrators and more learned as philosophers and theologians, and better orators than many of the hierarchy. When Father Percy talks about what the Church teaches and what the Church believes there can be big gaps. There is sadly coming to light the gap between what some in the hierarchy preached and what they practised. I had great optimism when the Plenary Council 2020 was announced but now that the Listening and Dialogue stage is over we learn in last weekend’s Catholic Weekly that there is very little of substance the Council can implement without clearance from The Vatican. How hidebound is that?